Lighting and electronics make the helmet a bit heavy. It is a truly revolutionary model from the Lumos company. 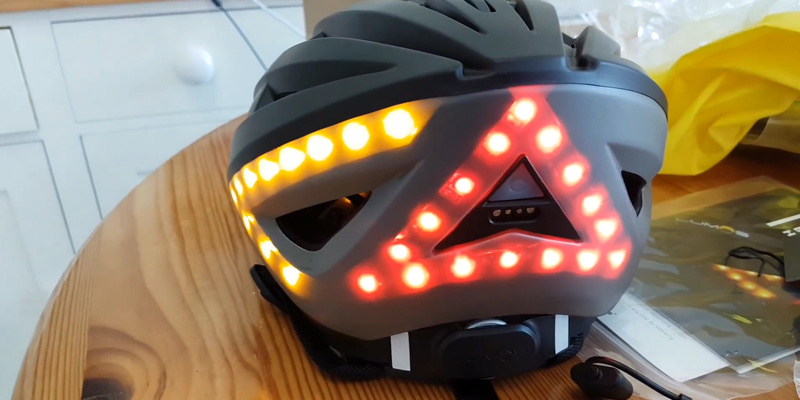 The helmet boasts 48 LEDs around the perimeter. This makes the helmet much safer, allowing all drivers and pedestrians to see you and your bike. You can even show where you are going to turn. The inner covering is treated with antibacterial and antimicrobial agents. 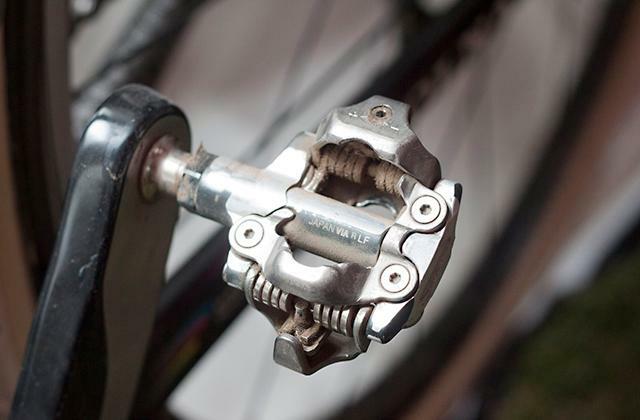 The chinstrap is made of artificial leather, which makes cycling much more comfortable. The stickers on the helmet can peel off over time. If you are an experienced cyclist or skater and you often cycle around the city or off-road, then this helmet is the most reasonable solution. It is well-ventilated and easily-adjustable with two straps located at the rear. 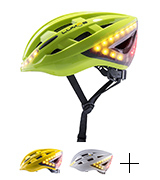 The helmet back is fitted with a special fastening for the branded SharkFIN top-mount flashlight. Due to it, you will be seen from all directions in dim light conditions. The straps are not that durable. People looking for a stylish and solid bike helmet for extreme riding will definitely notice this model. The helmet is made with double protection: a durable top layer protecting from damage and a soft inner layer for cushioning. The helmet design has 27 air vents for cooling. 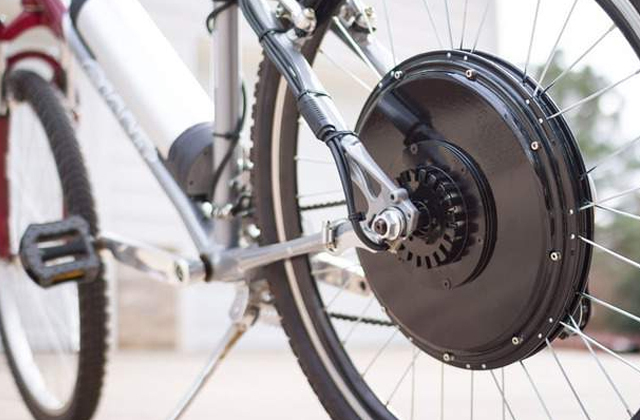 Undoubtedly, this solution will ensure a comfortable ride even in hot weather. Besides, the holes also reduce the weight of the helmet. Some can find the design of this model rather aggressive. 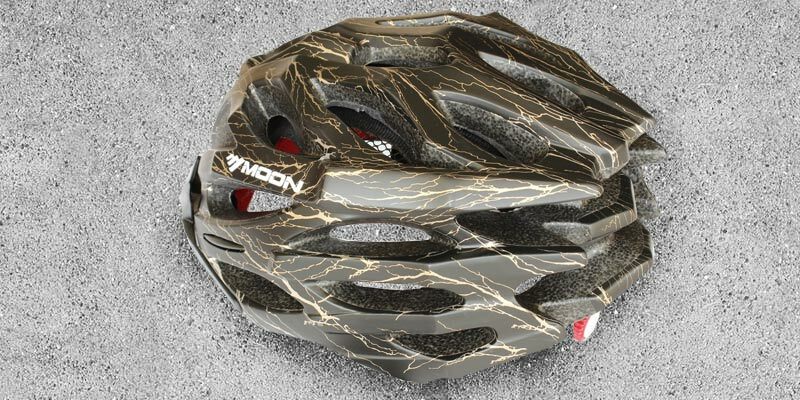 This durable and affordable helmet from Moon is suitable both for teenagers and for adults. The polycarbonate coating makes the body quite firm and at the same time lightweight, which is an obvious advantage. The Sport Direct Bicycle Helmet features a uni-size adjustment headlock System at the back, which allows you to customise the helmet for different head sizes. It is not suitable for too active riding. Those who prefer relaxed cycling and roller skating will definitely choose this helmet. 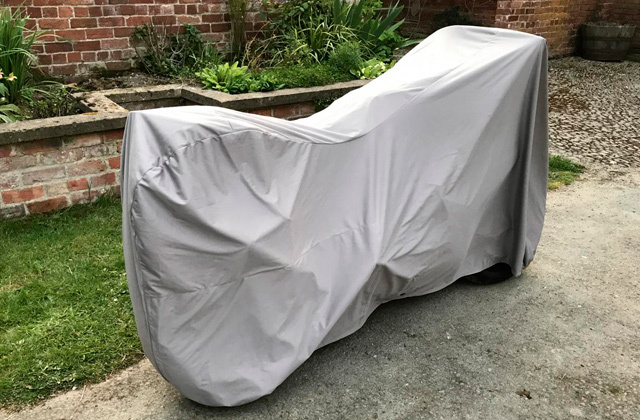 It ensures quite good ventilation and has a special mesh so that all those unpleasant insects do not disturb you while riding. 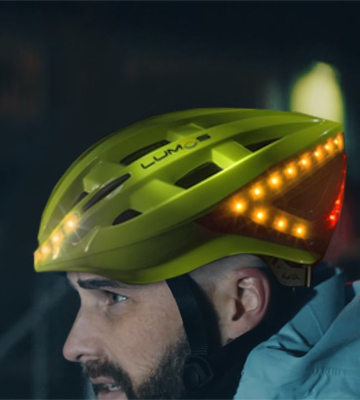 The Lumos bike helmet with lights is a really fantastic invention created for a user's comfort and safety. Owing to the integrated 38 red lights in the rear, 10 white in the front, and 11 orange lights on the sides, you will be visible regardless the time of day and weather conditions. A helmet is crucial safety gear and this model deftly combines all the necessary safety characteristics. 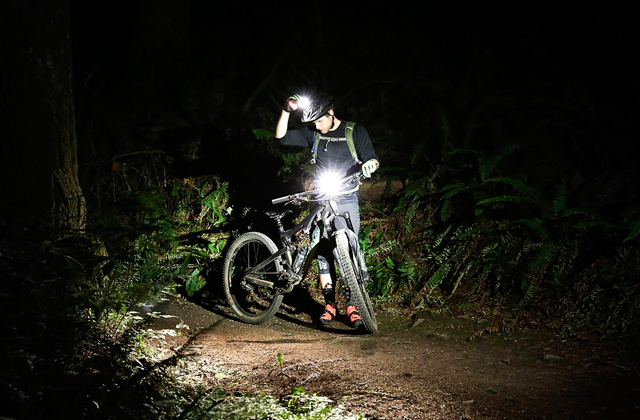 The Lumos helmet lights give you a possibility to show your turn intention. The helmet is equipped with left and right turn signals which can be activated by a push of the button on a wireless remote. Undoubtedly, this is a fantastic safety feature, especially if you live in a big city with all that hustle and bustle. Also, you can monitor the battery level and customize notification options using the free Lumos Helmet App. As for the battery, it can last for three hours in the solid mode and twice longer in the flash mode. The charging takes only 2 hours (a special magnetic charging cable comes in the set). Of course, this is not the cheapest model, but taking into account its amazing functionality and extra features, it is a great value for the money. 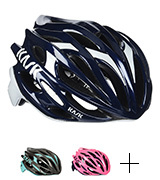 The Kask Mojito bicycle helmet is one of the bestselling models from this company. Being lightweight and comfortable at the same time, this helmet will provide nothing but cosiness while riding. The combination of great ventilation and the Kask unique Up-n-Down adjustment fitting system makes this sports gear one of most usable models in its class. The adjustment system enables you to customize the helmet not only up and down but also in size. And the special polycarbonate layer covering the top, base, and back ensures greater protection. Besides the advanced technologies, the Mojito helmet boasts a distinctive and well-thought-out Italian design. The in-mould body joins the outer polycarbonate shell and polystyrene liner which makes this model firmer and stronger. The chinstrap made from a leatherette material will not irritate your skin even if you have a long trip. 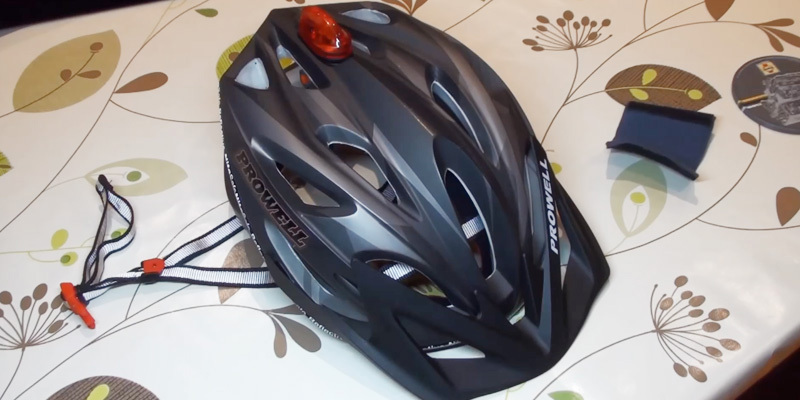 And with the highly visible reflector stickers, you will be visible in low light conditions. 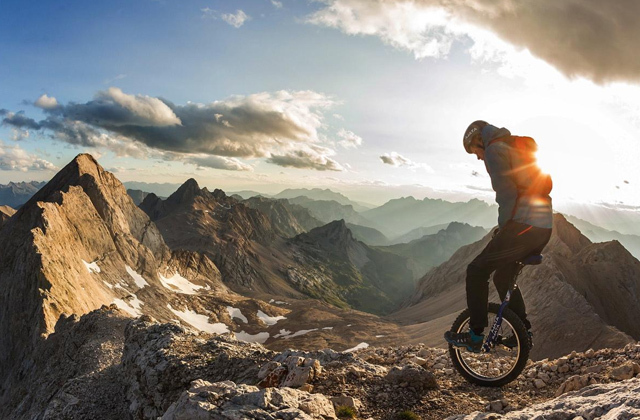 If you are an advanced user who is crazy about extreme riding and you would like to stand out from the crowd thanks to the extraordinary sports gear, this is your choice. 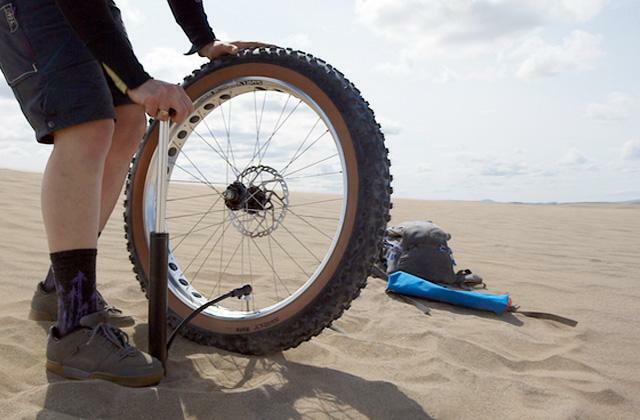 The Prowell engineers are doing their best to make their sports equipment as usable as possible. And the flagship Vipor cycle helmet is a bright example. With the enlarged internal air channels and outer vents, this model ensures an impressive cooling effect and optimizes your performance, respectively. For sure, you will be impressed with its streamlined design! 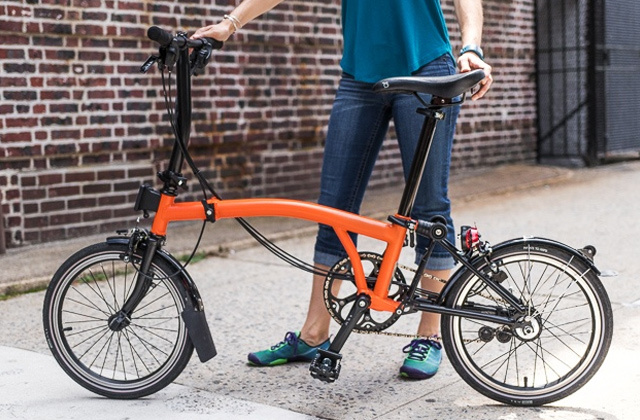 Also, the manufacturer has significantly reduced the weight of this model, which makes it extremely comfortable. The helmet comes with a reflective strip to ensure increased visibility for night cycling. 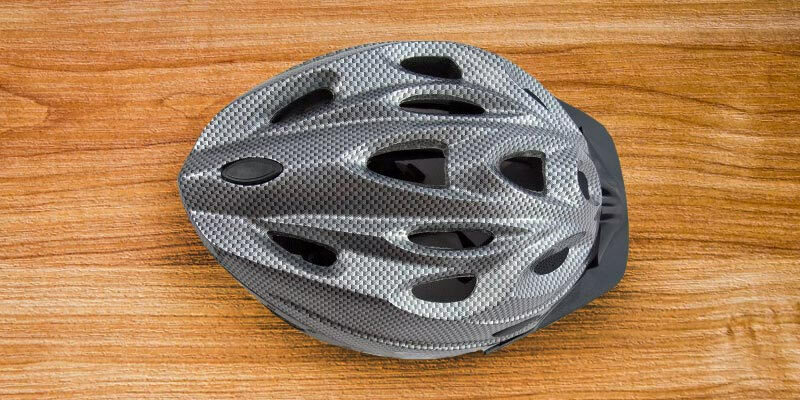 Thanks to the solid construction, this bike helmet is able to withstand various hard impacts and shakes which might occur while cycling (when a rider can bounce or fall down, for example). The Prowell Vipor Cycle Helmet is made of a "DUAL-DENSITY" material that makes the outer shell noticeably harder and evenly distributes the pressure. The Prowell F59R Vipor Cycle Helmet is manufactured in compliance with the CE EN1078 European safety/manufacturing standard, so you can have a total peace of mind. Considering all that, we can say that even the most demanding riders will be satisfied with this sports helmet for a bike. Sporty and energetic enthusiasts who are looking for a lightweight yet sturdy mountain bike helmet at a comparatively moderate price tag should definitely have a look at the Moon Ultralight Adult Sport Cycling Helmet. 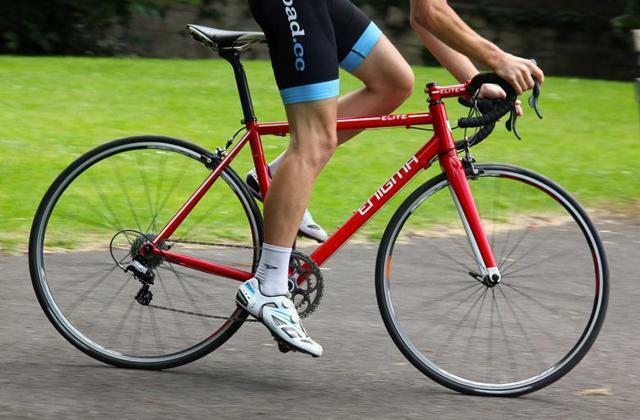 Being perfect for mountain and road cycling, this model provides superior comfort. Even if the trail through the woods is full of bushes and trees, the snap-on visor will securely protect you from branches. 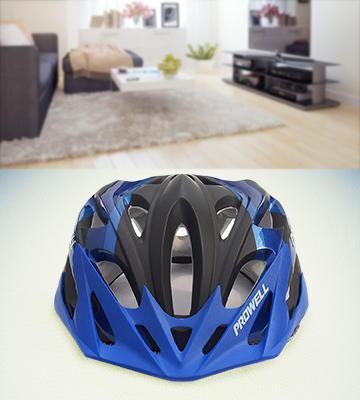 Also, this sports helmet for bike is highly resistant to various shocks and impacts. To be more precise, it features intelligent EPS foam and, thanks to its high density, this foam automatically spreads the load in case of a crash. There are 27 air vents which improve the airflow and make your riding noticeably cooler. In addition, this sports helmet is equipped with the special heat-sealed pads to prevent perspiration. Talking about ergonomics, we would like to mention that this model is designed with the Dial Fit system. This custom fit option enables you to adjust the helmet tension. One more advantage of this model is its versatility. 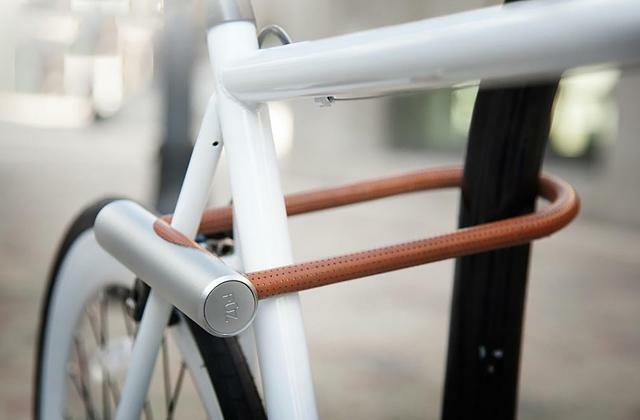 You can use it not only for cycling but also for roller skating, skateboarding, and scooter riding. If you need a simple yet reliable bike helmet that won't hit your pocket, then the Sport Direct 18 Vent Mens Bicycle Helmet will become a perfect solution for you. As the name of this model implies, ventilation is one of the main features this helmet boasts. It has as many as 18 cooling vents. For such an affordable helmet, that is really impressive. Of course, high-end models have more vents; however, if you are not a risky person who is going to use a bike helmet for riding in the mountains or off road, then this helmet will fit the bill. 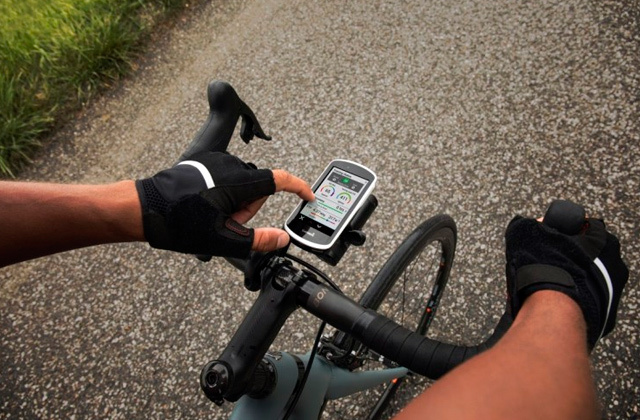 It can become your reliable assistant for long hours of relaxing cycling. The fully adjustable padded chinstrap of the Sport Direct cycling helmet adds to the comfort of use. With its help, you will be able to customise the helmet precisely for your head. Also, the manufacturer fitted this model with a sun visor, so you will be protected from the boiling sun. Summarizing all this, we can conclude that Sport Direct bicycle helmet is a price-wise product which will easily meet the basic needs of any cyclist. What Is a Bike Helmet? If there's one crucial component of any cyclist's riding kit, it's a bike helmet. 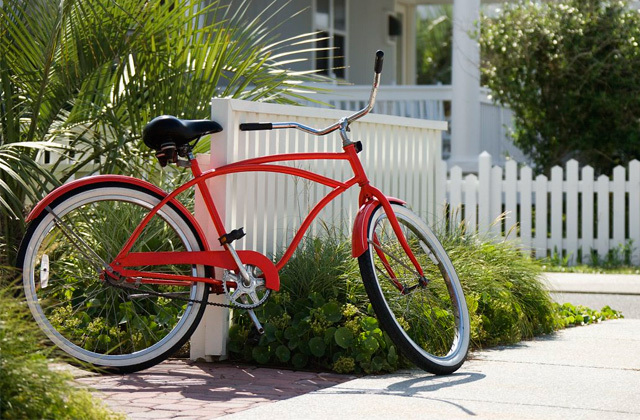 Any bicycle is a vehicle, which means it moves at a certain speed and, therefore, an accident is quite likely, so the helmet will protect your head and minimize the risk of serious injuries. 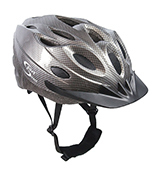 Moreover, any bike helmet protects from sun rays and serves as a cover for your head. Bike helmets are very popular all over the world and in some countries wearing them while cycling is even obligatory. Millions of people ride bicycles every day and not only for fun, many people ride to work since it's healthy and costs nothing at all. Moreover, many cities have paid parking lots, which means you can park your car for a certain fee only but there's nothing to pay for if you are a cyclist! Therefore, we have decided to select the most popular and bestselling bike helmets so that you can choose the one for yourself. Sports sunglasses will make your bike riding a way more pleasant experience. Aero Road and Time Trial - these 2 types look very similar and they are designed to minimize the air drag. No need to mention, these helmets are used for races and road cycling. 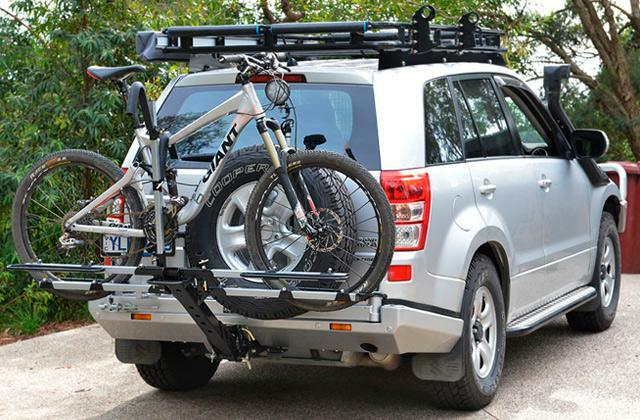 Mountain Bike - they are, probably, the most widespread in the world of cycling. 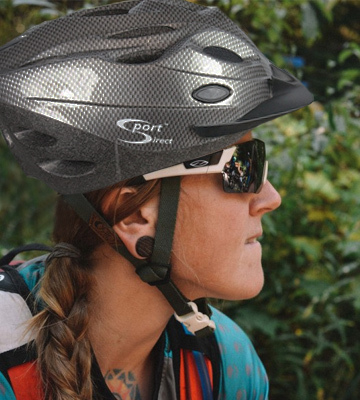 Mountain helmets usually have vent holes and a visor that protects eyes from the sun. BMX - these helmets are created to protect riders who adore extreme cycling (trial, BMX, street), downhill, dirt jumping, etc. Kids & Youth - helmets of this type are intended to provide the maximum safety possible. As usual, they feature different colour patterns since kids adore colourful outfit. Full Face - helmets of this type provide protection for the lower part of your head, i.e. for your jaw. 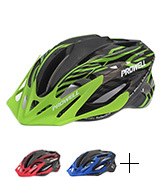 These helmets are crucial for fast downhill riding and extreme cycling. Moreover, they have a fairly big visor that perfectly protects from the sun. 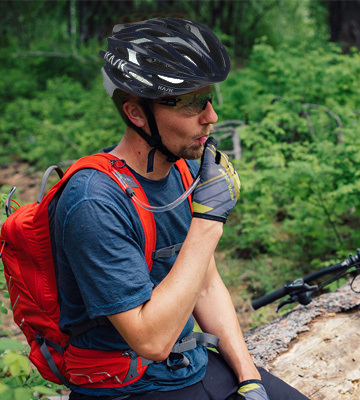 Of course, Full Face helmets are also very helpful in protecting your face from branches and twigs when you are riding through a wild forest or a similar terrain. There's one more feature to be considered - the helmet construction. In general, they are either Hard Shell or In-Mold. What does this mean? It isn't that difficult. In hard shell helmets, the shock-absorbing foam layer and the outer plastic casing are separated from each other. Such helmets are heavier but they are rather durable and provide great protection against any impact. 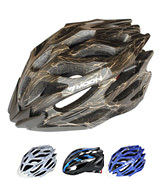 In-mold bike helmets, the outer surface and the shock-absorbing foam are a single unit. These helmets are very convenient because of their small weight. Moreover, in-mold helmets have lots of vent holes, through which the air comes and cools your head. If you think that in-mold road bike helmets provide poorer protection, you're wrong - they protect your head perfectly well. 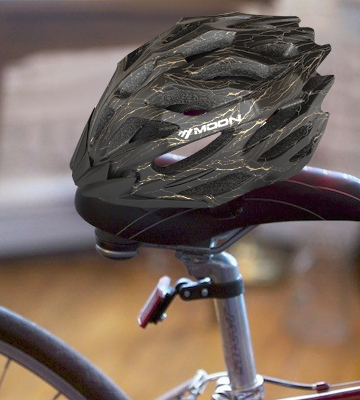 In all, in-mold bike helmets are great for everyday cycling. Once you put a helmet on, you should also adjust its fit. That's why most bike helmets have a special fit adjustment system that usually works like this - you turn a small dial at the back of the helmet and it tightens or loosens the straps. That's simple and you can do it right while riding. Of course, you should consider the material every bike helmet for men, women, and kids is made of. Most of them are based on EPS (Expandable PolyStyrene), which can't be recovered once damaged. So, if an accident happens, you can only throw such helmet away. Some helmets are made of EPP foam (Expanded PolyPropylene) - it recovers from a minor shock, which means such helmets are more durable. Finally, we recommend you to check how convenient each bike helmet is and it's determined by some extra features. For example, a good helmet should have numerous vent holes that cool your head and prevent your hair from getting wet. It's really important if you go for a day-long summer ride. Also, most helmets have a removable visor. Some models have a special anti-insect mesh (it protects your hair from unpleasant insects living in any forest). If you wish to ride a bike in winter, make sure to choose the helmet compatible with a winter liner that will keep your head warm in winter. Finally, the straps of the fit system should be soft enough. 1. Duncan Moore Buyer’s guide: how to choose a cycling helmet, RCUK. May 24, 2015. 2. Keeping One’s Head, Consumer Reports. April 2016. 3. 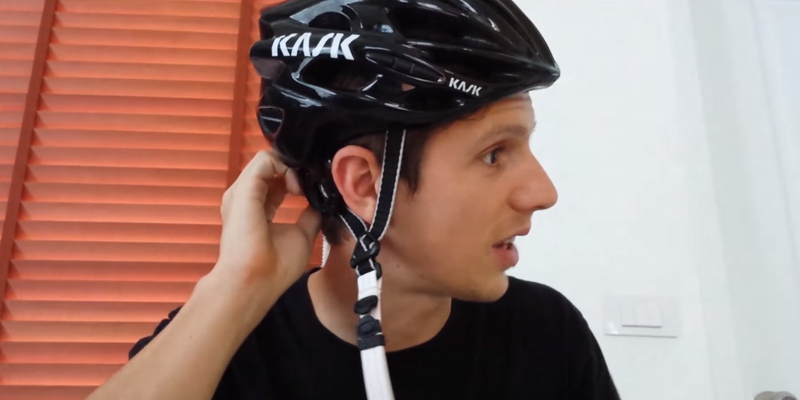 How to Choose a Bike Helmet - Video, BikeRadar. July 16, 2014. 4. Helmet Buying Guide, Wiggle. 5. How to Choose a Bicycle Helmet, wikiHow. 6. How to Choose a Bike Helmet, Eastern Mountain Sports. 7. Luke Lydiard How to Choose a Mountain Bike Helmet, Outdoor GearLab. June 1, 2015. 8. Oliver Bridgewood Best Bike Helmets: a Buyer’s Guide, Cycling Weekly. May 26, 2016. 9. How to Choose the Right Helmet? Decathlon.